A police officer remains in a "critical condition" following a collision with a heavy goods vehicle (HGV). 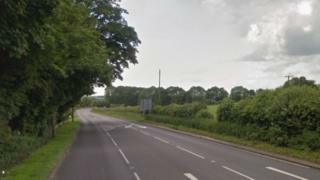 The officer and a colleague were travelling on the A4 Bath Road in Hungerford on Wednesday night when the crash occurred. One of the officers suffered serious injuries while the other sustained minor injuries, police said. The HGV driver, a 33-year-old man, was arrested on suspicion of causing serious injury by dangerous driving. Supt Jim Weems, from West Berkshire police, said: "Our thoughts are with these two officers, their families and their colleagues."